My grandmother, Catherine, was born in 1884. I saw her almost daily for most of my childhood until her death in 1980. 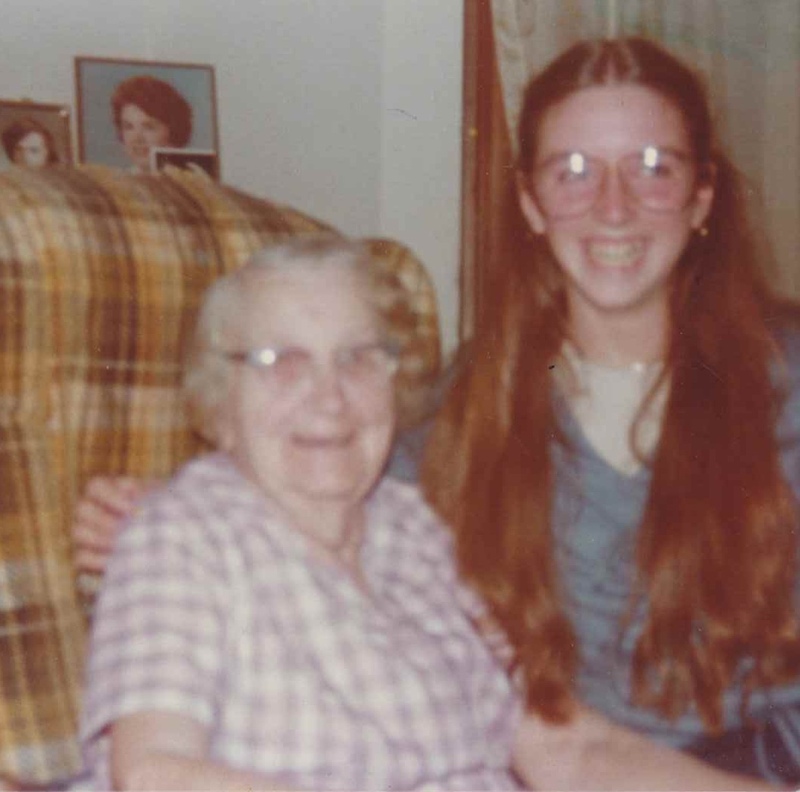 Gramma had a daily prayer practice that I occasionally observed, but always knew about. Each morning she would sit in her chair, review her prayer cards and begin praying. As a Catholic, her prayers were sometimes read, recited or spontaneous prayers. We, the grandchildren, were often reminded that Gramma said a rosary every day for us and for many others. This has more meaning to me now, as an adult. I am grateful that she took the time to think about me daily and pray for my safety and guidance or whatever specifics she was contemplating. I have inherited one of her prayer books and a few of her prayer cards. I think about Gramma holding her prayer book with these cards, praying for the living and dead, whom she loved so much. I live in the Washington DC Temple District and our temple has been closed since March 2018. The closest temples are in Philadelphia, New York and North Carolina. I was a frequent temple patron/worker and made ready use of the prayer roll at the DC Temple. I miss that venue for collective prayer on behalf of the anonymous names in the prayer roll. I’ve been thinking about temple prayer rolls, my grandmother’s prayer cards and my own prayer lists. Lately, since the temple closed, I have taken to writing down the names of people/situations I want to remember in my prayers. I keep them together with Gramma’s prayer cards and take them out and review them prior to beginning my prayers. It helps make the prayers specific, and it sometimes leads to direct inspiration for ways I can be of use in answering the very prayers I am saying. Sometimes when I am tired it helps me have a meaningful prayer with real intent, rather than sliding into bed mid-prayer. I can also mention the “people on my list” without naming each one in my head. I know I am on other people’s lists and I appreciate that so much. What about you? What ways do you use to remember specific people in your prayers? Love these thoughts! One of my new year’s resolutions this year is to pray for a random acquaintance each day (like the orthodontist or grocery clerk or someone I encounter but whom I don’t really know). I’ve loved it–suddenly I care more about their health and happiness and they are real individuals with cares and concerns and I can feel some of that divine charity. I’m keeping a list of them all, and just a few weeks in I can tell it’s been at least personally impactful. What an excellent idea. I have always tried to remember each member of my family, and those I have been asked to pray about. But I know I fail, in the moment, to remember them all. Never have I thought to simply write them down, or put them in a list on my phone. Something I will endeavour to do. We used to have prayer requests shared in our RS meeting until they were deemed to be a waste of time by our stake leadership. I miss the sense of connection we had as we shared our concerns and created a mutual love and empathy. Then we knew the names of the people who were being prayed for, when they are more invisible in the temple. Before family prayers, my family used to ask for everyone to say what they wanted to pray about, so it really was about the thoughts of everyone there, bit just the person who voiced the prayer.